Post Separation Support, a temporary tool used to ensure immediate needs are met, and Alimony, a long term solution for spousal support following divorce, are the terms used by North Carolina in awarding support from one person in a divorce to another. Post Separation Support is intended to meet the immediate needs of the lower-income spouse as a short-term standard of living solution while other elements of a divorce are being handled. Alimony is a long term solution and is based on other criteria in addition to financial need. Obvious to everyone, the splitting of families can nearly double the financial burden on both parties to the marriage. Still, short term and long term spousal support are not applicable to every divorce and courts consider many elements in making these awards. So, when one spouse has greater earning capacity than the other or one spouse cannot meet the burden of their monthly expenses, temporary and long term support may be appropriate. The goal of temporary and long term support is to help each spouse maintain the standard of living to which they were accustomed during the marriage and to acknowledge each spouse’s significant contributions to its success and, sometimes, even failure. Unlike child support, however, post separation support and alimony are left to the discretion of the court unless the parties are able to resolve the issue through negotiation and/or mediation. Spousal support awards can include cash payments over time, a lump sum amount or transfers of property to the dependent spouse. In determining the amount and duration of the support payments, the Court looks at many factors including the length of the marriage, the amount of each party’s income and expenses, the ability of either to earn income due to education and training, or whatever other factors might be unique to the family. Because courts have broad discretion in these awards with no set standard to follow, spouse support issues are often contentious. Barri Payne’s experience and expertise in both the evaluation of your spousal support matter and either negotiation or litigation of this issue can help you avoid the pitfalls that surround discussions of long term support. Answers to your specific questions about whether you may have a claim for post separation support or alimony can be provided at your consultation. 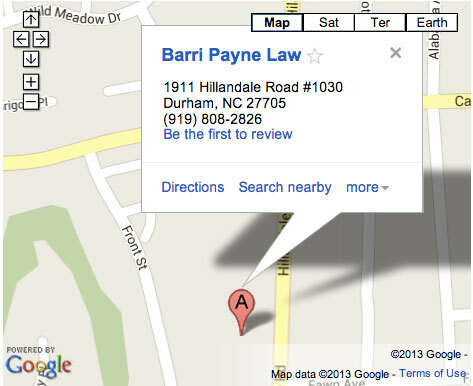 Call or email Barri to schedule yours.